Pierre Gosselin: The Real Motivation Behind PRP Journal Shutdown Exposed: It Challenged IPCC Science! The Real Motivation Behind PRP Journal Shutdown Exposed: It Challenged IPCC Science! 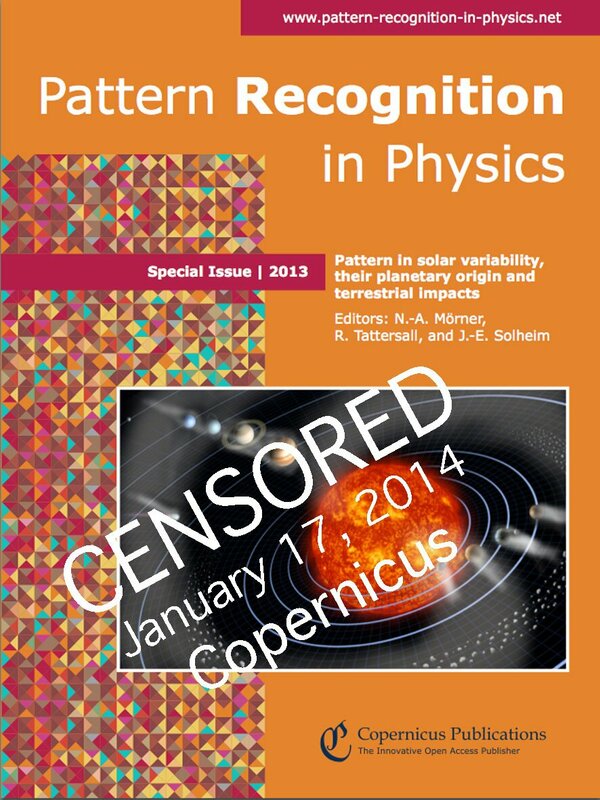 The original motivation behind Copernicus Publishing director Martin Rasmussen’s decision to shut down the new journal Pattern Recognition Physics had nothing to do with the alleged “nepotistic” behavior among editors and peer-reviewers, but appears to have had all to do with politically incorrect questioning of IPCC orthodoxy. You can see how Rasmussen’s accusations appeared on PRP on the morning of January 17, 2014 at Bigcitylib.blogspot.com. …that you now see here was added later. The accusation was dubious at best, mostly entails personal intrigue and was added later to cover up the real motivation to distract from the real reason behind the magazine’s shut down. 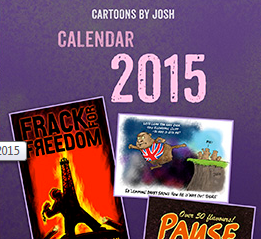 Clearly this really gets down to suppressing alternative views that threaten the popular global warming science. It’s a sad example of Germany succumbing to behavior of darker times. Tallbloke, I tried following the links, but I still do not get the “before” and “after” versions. Can you make this a little clearer? tchannon … thank you. Clarity has been achieved. Oops, looks at keyboard, umm, mind have wondered. Sorry about that. Can someone point out specifically the “smoking gun” text? We remain two nations separated by a common language. You won’t believe it, folks. Germany, the home of intentionally fake “science” Copernicus Publishing, seems mysteriously magnetic ground for specious anti-scientific attacks by mainstream academics. Stephen Crothers, my email buddy and friend from Australia, he’s demonstrating to self-selected high priests in academia that their highschool maths forbids mathematical prediction of Black Holes and Big Bang: by simply showing them their own contradictions and Einstein’s own words in Einstein’s own work. Since the high priests in academia are always invited for rebuttal but cannot circumvent their own pal-reviewed mathematical contradictions nor the deep observational facts, Steve receives much hate mail instead of scientific argument. The most recent blast came from Alexander Khalaidovski, a junior postdoctoral researcher employed at the Max Planck Institute for guaranteed invisible Gravitational Waves, that’s named the Albert Einstein Institute in Hannover (Lower Saxony, around the corner here at my place where Steve and I meet to discussing matter of facts). Khalaidovski proclaimed (Thu, Feb 13, 2014 at 1:50 PM) by email (!) that he will treat the death of scientist Stephen Crothers as a joyful fact and throw a party to celebrate Steve’s death. I hope the following is correct, two images plus highlighting. Well maybe you should start again because there is now clear evidence that you and Willis fell for a three card trick and there were never any integrity issues at all with the articles that were submitted to a journal owned and run by other people. BTW, this is not OT – you brought it up. Poptech claimed that there was an agreement between the publisher and the editors about not covering climate change issue and in particular not to publish anything against the IPCC. If it was true that Rasmussen asks his editors to not publish papers that may question the IPCC, that would be a big scandal. Anthony and Willis do tend to get very emotional about the slightest criticism and have difficulty ever accepting and admitting they may have got something wrong. As for “ending up on my own”, I’ve gained another 80 twitter followers since the PRP shutdown story broke, daily visits to this blog have increased around 30% and around 30 new people a week have signed up for new post notifications. Moreover the scientific papers we wrote have been downloaded thousands of times, and I’m busy with correspondence from people who know an awful lot more than Anthony and Willis about tidal theory, resonant orbital harmonics, solar wind – magnetosphere interaction and exoplanetary systems. In short, their whining and whingeing is a cover for their rash judgement, poor logic, censorship and bad maths. WUWT is still a great site for keeping up with the copies of stories they republish from elsewhere though. Willis writes some entertaining stories too. In due course, Professor of Geophysics Sid-Ali Ouadfeul (who has never written contentious papers in the climate debate) will be putting an editorial online at the relaunched PRP journal covering the excuses made by Martin Rasmussen for Copernicus (The Innovative Science un-Publishers) axing the original. At least he hasn’t had the temerity to deny access to our papers, which are still published. 1 Now the polar vortex a height of 30 km. 2.Now polar vortex height of 17 km. 3 Circulation at 850 hPa. On the final graphic can be seen as a weak polar vortex “lets” the warm air above the polar circle. A beautifully shows a cosmic rays. 100 hPa. Do you really can not see what is happening with the polar vortex? After all, it takes all winter. Hi ren, trust me, I am interested. We will have a new discussion soon. Hi Nik: Love the graphic. Surely Copernicus’ logo and location in Germany needs a mention too? Anthony is ignorant of the background discussion . Not that this will stop him pontificating. I saw this over there and could not believe Anthony is still at it. I told Willis several times in one thread how disappointed I was in his gleeful trashing of the Physics Journal and Willis just whined that I should quote what I did not like. Oh my. MarkS: Welcome and thanks for the support. I’ve tried pretty hard to keep things civil between WUWT and the talkshop over the last few years. It appears now that Anthony has taken the scientific disagreement to a personal level, impugning the integrity of eminent scientists and co-authors such as professor Giovanni Gregori, Willie Soon, Ollie Humlum, and his erstwhile friend David Archibald among others. Regrettable, but I have plenty of ammo saved up if he escalates hostilities around the ‘pal review’ angle. Willis will be most unhappy. Posting here as the last PRP post I found. peer review is no guarantee that one paper is necessarily better than another. The problem with peer review is that it relies on volunteerism, and I suspect many scientists asked to review are often too busy to give the level of commitment required to fully analyze, test, and/or replicate a paper’s data/methodology they are asked to look at. ren: Cosmic rays, Ozone and the Polar Vortex – are they connected?